A high resolution ray-traced ribbon model of human haemoglobin. Biomedical science focuses on how cells, organs and systems function in the human body; an exciting and dynamic area that is highly relevant to the understanding and treatment of human diseases. 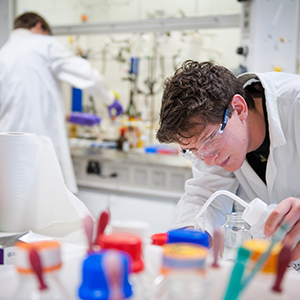 Oxford is a highly respected and internationally recognised centre for biomedical research and students will benefit from tuition from leading experts working within a variety of nonclinical and clinical departments. This course provides students with an intellectually stimulating education in modern molecular, cellular and systems biology and neuroscience. Please note this course does not provide medical training. 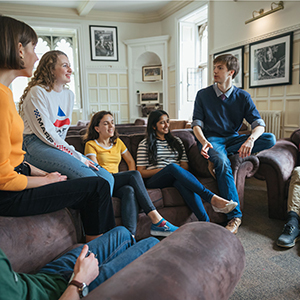 The Biomedical Sciences course at Oxford has been designed so that students initially acquire an integrated understanding of biomedical science that allows them to shape their subsequent studies towards the topics that interest them the most. Practical laboratory work forms an integral part of this programme and you will be required to complete these practical elements to a satisfactory standard in order to progress through the course. As the course progresses, increasing emphasis is placed on scientific research, as students obtain first-hand experience of laboratory research in the later stages. Students choose their own project and the possible areas for investigation within the University are wide ranging. On the basis of the specialisation initiated by the selection of second-year modules and confirmed by the choice of third-year options, students will be awarded a degree in either Neuroscience or Cell and Systems Biology. In your first year you would typically attend six to ten lectures, a Mathematics or Statistics class and a three-hour practical class each week. In addition, you will prepare for and attend weekly tutorials during which you will discuss, through consideration of experimental studies, the significance and limitations of a given topic with your tutors. Your remaining time will be available for independent study. During the first two terms of the second year, your work is divided between around five lectures and one to two tutorials each week, in addition to practical classes, while the final term concentrates on experimental research in a laboratory. During the third year you will attend lectures, seminars and tutorials in your chosen specialist area. Tutorials are usually 2-4 students and a tutor. Class sizes vary according to the type of class: workshops are typically 10 students, while practical classes are normally up to 40 students. Most tutorials, classes, and lectures are delivered by members of academic staff or research staff. Many are world-leading experts with years of experience in teaching and research. Some tutorial and class teaching may also be delivered by postgraduate students who are usually studying at doctorate level. To find out more about how our teaching year is structured, visit our Academic Year page and the Medical Sciences website. Examined by five written papers at the end of the year. A satisfactory practical record is required for progression to Year 2. Examined by two written papers at the start of term 6. These papers contribute 20% to the final degree mark. An academic penalty will be applied for an unsatisfactory practical record. Students work on their research project. Students will choose whether they wish to graduate from the course with either a BA in Cell and Systems Biology or a BA in Neuroscience. The BA degree awarded will depend on the pattern of options chosen. The full list of current options is available here. Examined by four written papers during the third term of the final year. Students will also submit a project report and deliver a presentation on their research findings to the examiners. 80% of the final degree mark is determined by performance in the written papers and the project report/presentation. A-levels: A*AA excluding Critical Thinking and General Studies. Highers: AAAAA Candidates are required to have an Advanced Higher in at least one from Biology, Chemistry, Physics or Mathematics, and two Highers from Biology, Chemistry, Physics and Mathematics. IB: 39 (including core points) with 766 at HL. Candidates are required to have two subjects from Biology, Chemistry, Physics and Mathematics at Higher Level. BTEC Level 3 Extended Diploma: Please see the Medical Sciences website for details. Or any other equivalent (see other UK qualifications, and international qualifications). Candidates are required to have two of their A-levels from Biology, Chemistry, Physics and Mathematics. If a practical component forms part of any science A-levels taken, we expect candidates to have taken it and passed. If not taken on to a higher level (A-level or equivalent), all candidates will need to show that they have received a basic education (achieving at least a grade C/4 at GCSE, Intermediate 2 or Standard grade (Credit) or equivalent) in Biology, Chemistry, Physics (GCSE Dual Award Combined Sciences or equivalent is also acceptable) and Mathematics. Please see the Medical Sciences website for further details. Please note, the University of Oxford will not accept BMAT results from the September sitting for this course. You do not need to submit written work as part of an application for this course. Tutors look for lively, receptive minds with the ability to evaluate evidence critically. You should be able to consider issues from different perspectives and have a capacity for logical and creative thinking. BMAT results will be considered when shortlisting candidates for interview. For more detail on the selection criteria for this course, please see the Medical Sciences website. This course provides a strong foundation to pursue academic research, work in the pharmaceutical and biotechnology sectors, or apply for an accelerated graduate entry course in medicine. In recent years, around two thirds of our graduates have gone onto study for a higher degree or a clinical qualification. 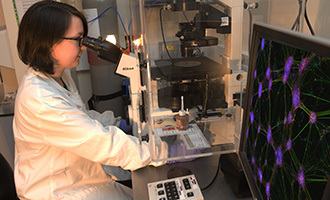 The Biomedical Sciences course at the University of Oxford is a full-time, basic science degree course, offering education in cell and systems physiology and neuroscience. It is not accredited by the Institute of Biomedical Science. 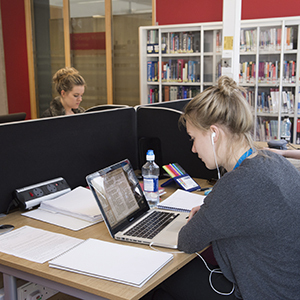 In the third term of the second year, students who undertake a research project may wish to remain in Oxford after the end of full term to facilitate completion of their project. (See the likely range of living costs for an additional month in Oxford.) However, this extended residence in Oxford is not a requirement and students should be aware that no financial support is available to help with any additional living costs during this time. You may like to have a look at this reading list for potential Biomedical Sciences students. You can also read about the University's research on our Science Blog: from helping the brain to control Parkinson's to restoring sight with gene therapy.